Cupertino tech giant Apple will hold its ‘It’s Show Time’ event in a week from now. The company is expected to focus on services and movie streaming. This will highlight a shift in Apple’s strategy to keep revenues up. As the company struggles to maintain growth with the iPhone partly due to a maturing industry and partly due to high prices, growth in services should provide it with a buffer of sorts. In addition, we’ve also seen leaks for new iPads surface over the past few months. Now, Apple tipster Mark Grumman might have hinted at these, and the iMac due for launch next week. Take a look below for more details. It’s been a while since Apple upgraded the iMac. The last upgrade of the desktop lineup was in 2017, and even then, Apple did not change the rig’s design. Instead, the company focused on the iMac Pro, looking to appease the prosumer and professional segments of its user base. This focus is also evident in the quick succession of MacBook Pro upgrades that we’ve seen. Apple’s 2018 MacBook Pro notebooks feature Intel’s latest Coffee Lake processors and keep their design similar to the 2016 notebooks. Additionally, while the company has exclusively focused on high-end specifications for its macOS products, it’s taken a balanced approach with its tablets. Apple upgraded both the standard and the Pro iPad variants last year, and it provided the iPad Pros with a beefy A12X processor that’s designed to show off Apple’s microprocessor design. With these details in mind and recent leaks for upgrades to the iPad Mini and the iPad, we’ve got a vague tweet from Apple. tipster Mark Gurman. Gurman rose to fame when he procured prototypes and components of the iPhone 5 from Apple’s supply chain in China. Now, take a look at what he’s claiming for the iMac and the iPad. According to him, the current hype related to a focus on services on Apple’s upcoming event on the 25th is a mislead designed to focus people’s attention away from impending iMac and iPad upgrades. Apple does love surprises and an upgrade to the iMac would surprise everyone indeed. However, the company is yet to make a ‘real statement’ on its focus on news and video streaming at the Its Show Time event. The only statement from Apple available right now is the title of its event, which does hint at video streaming. However, deliberate misdirection from Apple’s event in regards to hardware and event titles isn’t common. For example, last year’s iPad 6 launch had a simple invite that highlighted creativity – and Apple proceeded to launch a gadget geared towards students. That being said, the iMac is due for an upgrade. As mentioned above, Apple last upgraded the device in 2017, and Intel’s out with new processors since then. 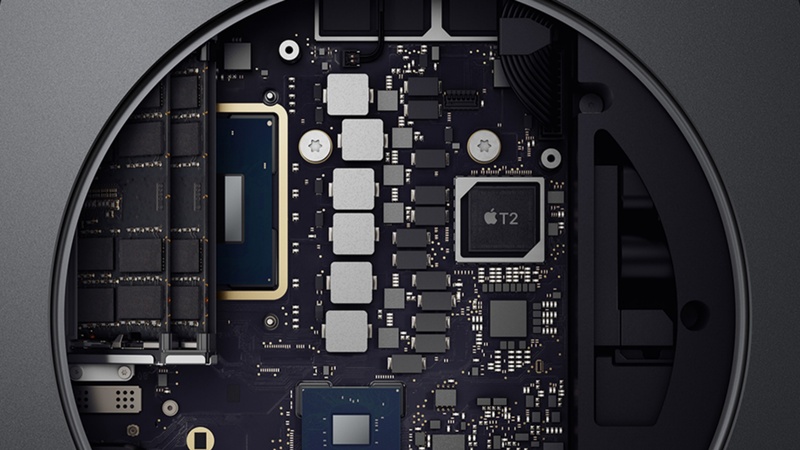 Additionally, Apple would also love to introduce the T2 chip and improved cooling on the iMac.